This exciting series of instrumental instruction books includes complete music plus easy-to-follow instructions, tips and advice. The accompanying CDs allow you to listen and play along to the matching audio tracks. These user-friendly book/CD packs provide riffs, licks, chords & tricks you can learn now, and easily incorporate into your own playing style! 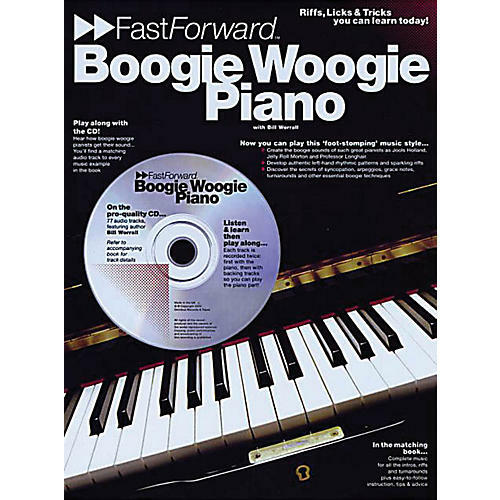 Create the boogie sounds of such great pianists as Jools Holland and Jelly Roll Morton. Develop authentic left-hand rhythmic patterns and sparkling riffs. Discover the secrets of syncopation, arpeggios, grace notes, and other essential boogie techniques.